This is your opportunity to enjoy the splendor and beauty of Kentucky's Award Winning *Diamond Caverns Resort and Golf Club*. The moment you enter the resort, you feel the ambiance and romantic atmosphere designed to rekindle your spirit and create an atmosphere for memories. 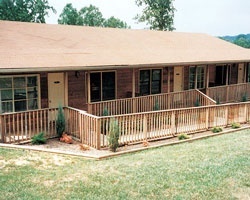 From the comfort and privacy of condo-suites, to an Olympic size swimming pool, a racquetball court and an 18 hole golf course, Diamond Caverns Resort and Golf Club truly captures the spirit of Kentucky! 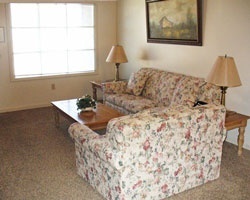 Many of the condominiums feature two bedrooms, perfect for the entire family! Large kitchens make meal time a simple pleasure. Relax in your very own dining room, stretch your legs in the living room to watch some TV, or step out onto the deck to watch the deer as they wander out of the forest at sunset. The condos are conveniently located just far enough from the highway that you can't hear the traffic, yet close enough to be at the Diamond Caverns Cave or Mammoth Cave National Park in just moments. Family friendly campground with cabins and camping sites! High season usage! Inquire for details!